The estate of Aaron Hernandez filed a lawsuit on Thursday that claims the late New England Patriots football star had severe chronic traumatic encephalopathy when he committed suicide following a 2015 conviction for one murder and an April acquittal in two others. 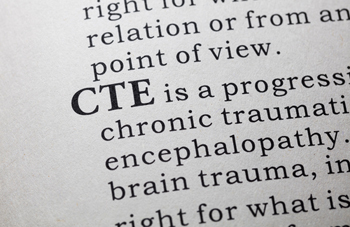 The suit claims the National Football League and the Patriots knew that repeated hits to the head could lead to the brain disease known as CTE, but did not take action to protect the players. Among the publications with stories are the New York Times, the Washington Post, Reuters, the Associated Press and NBC Connecticut, which posted the lawsuit. Hernandez’s lawyer, Jose Baez, said Boston University researchers informed the family that Hernandez’s CTE was the most severe case they had ever seen in someone so young. The suit says Hernandez was 28 at the time of his death, while news coverage says his age was 27. Hernandez was found be in Stage III of the disease, usually seen in players with a median age of death of 67 years, says the suit, filed in Boston federal court. The disease is associated with aggressiveness, cognitive issues, suicidal thoughts and dementia. The suit seeks damages for loss of parental consortium on behalf of Hernandez’s 4-year-old daughter, Avielle. Baez said the suit is independent of a concussion class-action settlement that began making payouts to NFL players this summer.